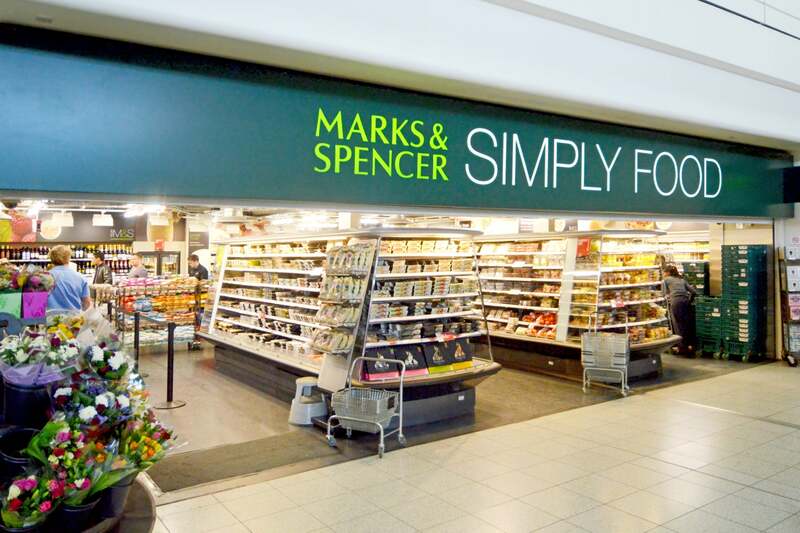 Marks & Spencer is facing backlash from vegan and vegetarian customers after it was revealed the store uses beef extract as an ingredient in some fruit juices. A photo of the ingredients in the store’s Super Water Protein Range was shared on Twitter, which revealed the drinks, available in orange, passion fruit, and watermelon flavours, are made with four per cent “hydrolysed beef collagen”. In response to the realisation, shoppers shared their disgust over the ingredient – and criticised the store for including an animal by-product in a drink that would otherwise be vegan-friendly. “That’s disgusting. Who would ever even think of checking the ingredients of juice before drinking? Companies are alienating huge numbers by not thinking about the vegetarian and vegan customers,” one person wrote. In mock croc skin, £59. Others pointed out that even if the you weren’t a vegan or vegetarian, drinking a fruit juice made with beef collagen does not sound appealing. “Now I’m not a vegan, but even I wouldn’t drink a gravy-infused fruit juice,” one person commented. The collagen-infused waters claim to “increase your protein intake” and include 20g of collagen, a structural protein found in skin and other connective tissues. In response to the backlash, an M&S spokesperson said they would be looking in to a way to clearly label the drinks as not appropriate for vegan and vegetarians. “There’s a growing demand for protein-based drinks that offer added vitamins and benefits,” a spokesperson told the Daily Mail. “In response, we’ve launched two new Super Waters containing a natural source of collagen, which is a widely used ingredient. Recently, the grocery store launched Plant Kitchen, a range of more than 60 meat- and dairy-free items including ready-made meals, vegan snacks, and plant proteins. The Independent has contacted the store for comment.